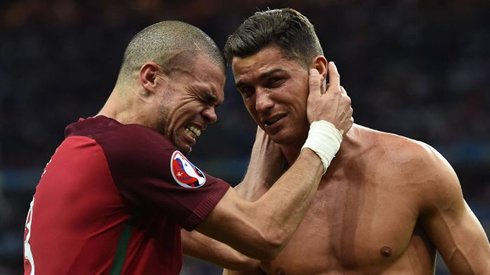 There's one major trophy Ronaldo still misses in his career and that's the FIFA World Cup. Winning it would be the cherry on top of the cake, cementing his legendary status among all sports fans. Can he do it? 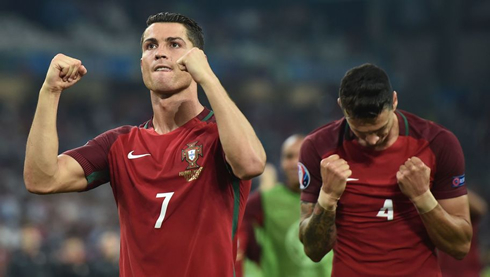 In 2014, the Portuguese side had a tough time at the FIFA World Cup in Brazil. Unable to overcome their crushing 4-0 defeat by Germany, the side could only draw with the United States and just scraped by against Ghana. And so, it's been great to see how the team are looking towards the Russia 2018 World Cup, as the perfect opportunity to build upon their unexpected success at the EURO 2016 tournament in France. Although Ronaldo missed out on the Golden Boot award, his three goals were critical for Portugal's success, and already there are signs that the star is keen to make a big impression in Russia next year. 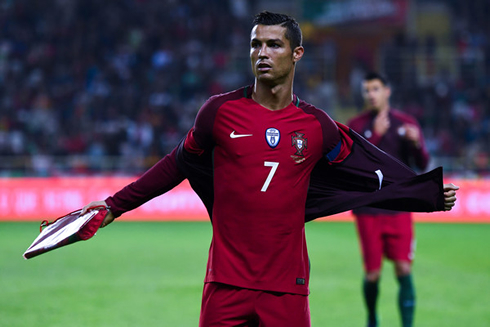 In the World Cup qualifiers, Ronaldo has already clocked up an incredible 13 goals, and he'll be keen to add to that tally when Portugal face Hungary again in what should be a pivotal match on September 3. Ronaldo has already enjoyed scoring against the tough Hungarian side, and his performance will be critical for helping the Portuguese side catch up with Switzerland, who are currently sitting at the top of the Group B table. The Swiss side stunned Portugal when they beat the European champions 2-0 in Basel in September. And despite Portugal's comprehensive victories over the likes of Andorra, Faroe Islands and Latvia, it's clear that they need to step up their game in order to ensure their place in Russia. Thankfully, it looks like Ronaldo is over his lingering injury that kept cropping up earlier this year. And providing he doesn't suffer any unexpected shocks at the Champions League Final on 3 June, he should be in peak condition to face Latvia in the Group B World Cup qualifying match on June 9. The Portuguese side are currently ranked 8th in the FIFA World Rankings, and whilst the Swiss team are good, it should be little effort for Ronaldo and his teammates to leapfrog Switzerland into first place in Group B. 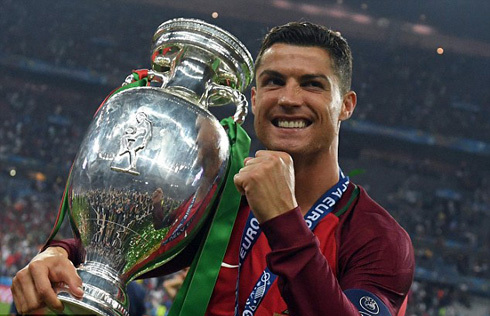 And although Portugal have only ever managed to make the semi-finals of the World Cup in 1966 and 2006, it looks like 2018 could be the year when Cristiano Ronaldo delivers them that long-sought World Cup glory! Cristiano Ronaldo next game is the Champions League final on June 3 of 2017 against Juventus. You can watch Juventus live stream, Juventus vs Real Madrid, France vs Paraguay, Mexico vs Ireland, Northern Ireland vs New Zealand, and Golden State Warriors vs Cleveland Cavaliers, all matches provided from our live sports game pages.